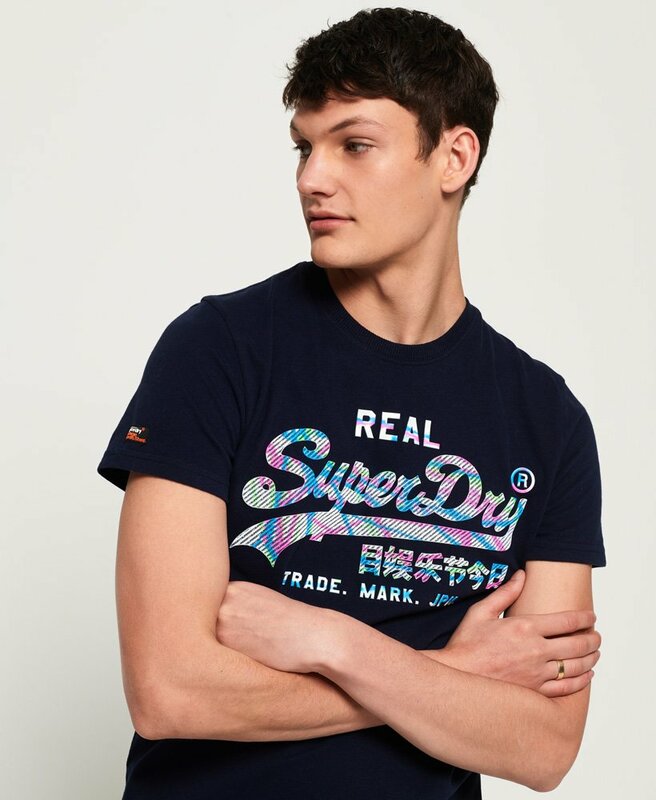 Superdry men's Vintage Logo multi colour t-shirt. Add a pop of colour to your t-shirt collection this season with the Vintage Logo multi colour t-shirt. Featuring a classic crew neck, large textured graphic on the chest, this short sleeve t-shirt has been finished with a small logo badge on one sleeve. Crafted from super soft cotton, this t-shirt is sure to become one of your wardrobe essentials.